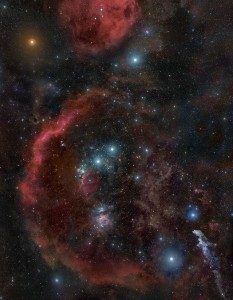 An extraordinary view of constellation Orion. You can see the three stars in the center make up his belt, and the two below and above make up his feet and shoulders. We have had some great nights of astronomy class recently here at Pathfinder Ranch. If you are a star gazer yourself, make an effort to get out on those nights around the new moon when the stars will be easier to see! If you look into the sky tonight from somewhere on the northern hemisphere, you will see some northern winter constellations glowing brightly – Orion the hunter is by far the most distinct in the sky at this time, and can easily be found by looking for the three bright stars of his belt. During these moonless nights, you may also be able to spot Comet Lovejoy in the early-evening, as it slowly makes its way from the foot of Andromeda towards Cassiopeia. Remember that a comet is an object with a nucleus made up of rocks that are trapped in ice! When passing close to the sun, the ice heats up and turns to gas and the particles within are released as dust. 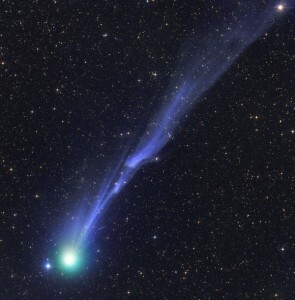 This is why many comets have a tail! You can use this online finder chart from Sky and Telescope to see where it will be tonight! Happy star gazing from all of us here at Pathfinder Ranch! 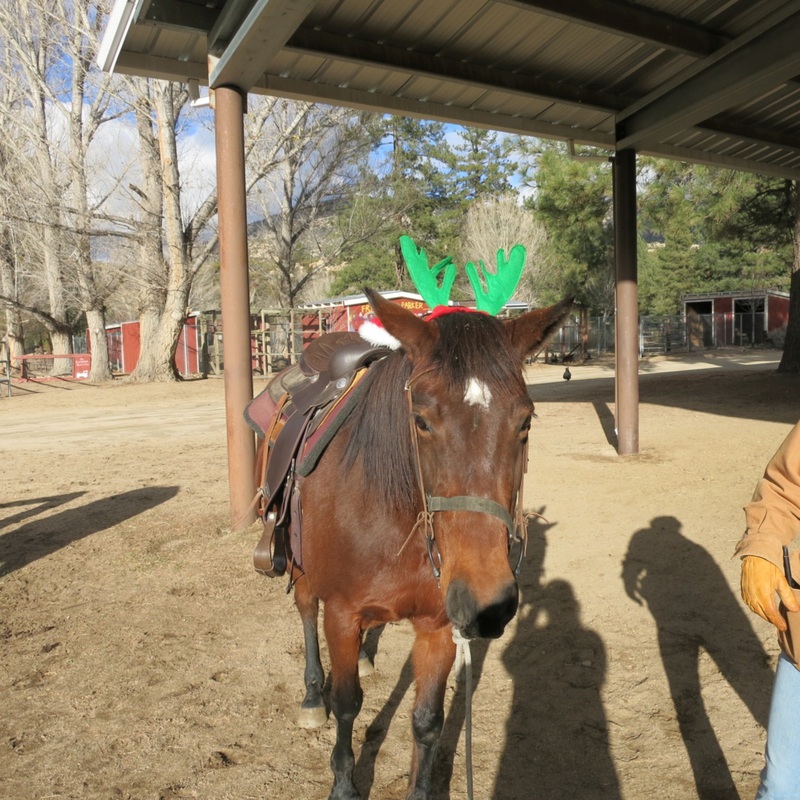 Things were busy here at the Ranch before our season ended in the middle of December! We’ve had a lot of schools visit us over this past fall (about 20 in total). Thank you to all of our fall schools. What a great season! We’ve enjoyed the holidays with family and friends, cooking delicious foods, and building fires to keep us warm on cold nights. Even some of the animals at the Ranch have had the holiday spirit. Take a look! 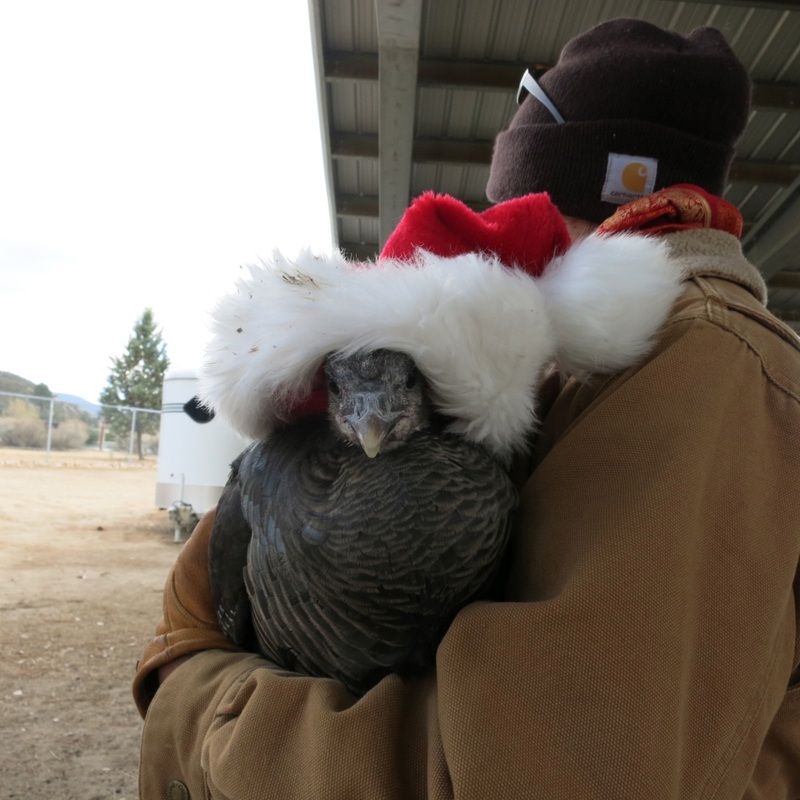 Gravy, Our Fun Loving Turkey! Breezy decided she wanted to be a reindeer this holiday season! 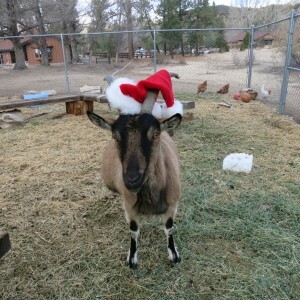 Madonna, Our Spirited Alpine Goat! 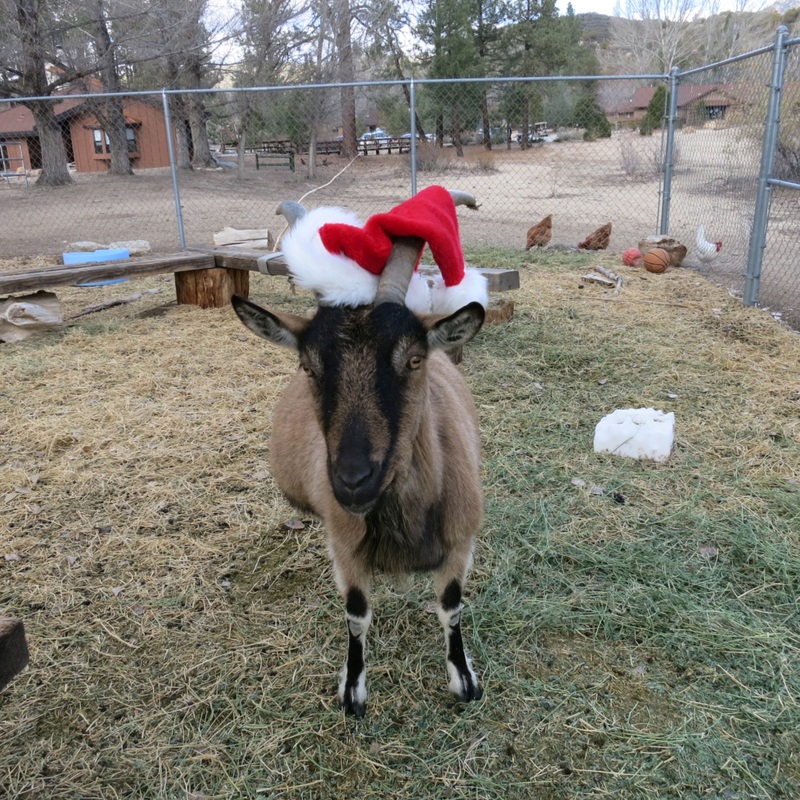 When they aren’t playing with the animals and teaching classes, the Naturalists at the Ranch have been hard at work this season designing new programs that can fit into our classes! One of the newest additions is an indoor planetarium that will soon be used during our Astronomy evening program! Sometimes the weather doesn’t cooperate the way we wish it would, so on rainy or cloudy nights we can potentially use this to help students see constellations and stars in our night sky! 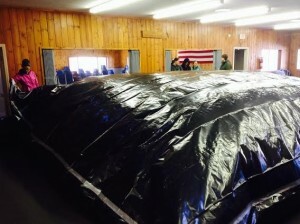 We used a box fan to inflate it, and we cut a door on the opposite end to enter! 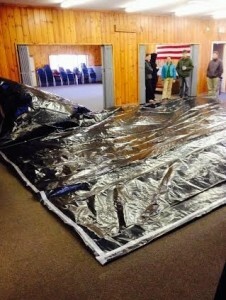 We used black plastic sheeting and duct tape to secure the edges. Once inside we can project pictures of different constellations, stars and planets that we talk about during astronomy! 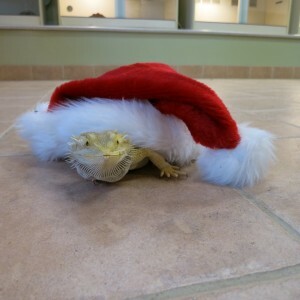 Hope everyone is enjoying this beautiful time of year! Besides the current week of oddly warm temperatures, it has definitely gotten colder and colder here. So, why not warm up with this delicious hot chocolate recipe?! In 3 1/2 or 4-quart slow cooker, combine unsweetened chocolate, chocolate chips and sweetened condensed milk; mix well. Cover; cook on High setting for 30 minutes, stirring every 10 minutes or until chocolate is melted. With wire whisk, stir in 2 cups of the milk until smooth. Gradually stir in remaining 6 cups milk and vanilla. Cover; cook on High setting an additional 2 hours or until hot. Just before serving, stir mixture again with wire whisk. Reduce heat setting to Low; have guests ladle hot chocolate into cups and top as desired.